On reaching the Manor House, the sergeant had found the drawbridge down, the windows lighted up, and the whole household in a state of wild confusion and alarm. The white-faced servants were huddling together in the hall, with the frightened butler wringing his hands in the doorway. Only Cecil Barker seemed to be master of himself and his emotions; he had opened the door which was nearest to the entrance and he had beckoned to the sergeant to follow him. At that moment there arrived Dr. Wood, a brisk and capable general practitioner from the village. The three men entered the fatal room together, while the horror-stricken butler followed at their heels, closing the door behind him to shut out the terrible scene from the maid servants……….. This 140 page PDF ebook comes with Master Resell Rights! 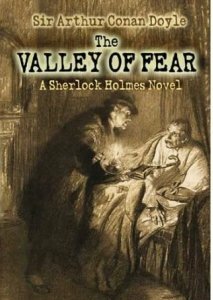 This exciting Sherlock Holmes mystery can be yours for just $1.00!